Liverpool haven’t played this well in a long time, but then fixtures don’t come much easier than Pompey at home. 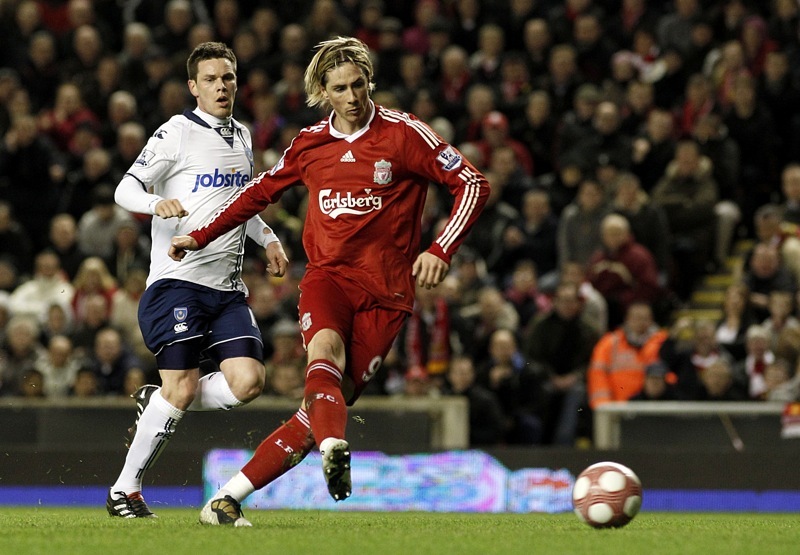 Liverpool’s goals came from Fernando Torres, Ryan Babel, Alberto Aquilani (his first for the Reds) and Torres again, with Nadir Belhadj netting the visitors’ consolation. The real bonus for Liverpool is the much-needed confidence boost this result will give to Aquilani, who had become almost a forgotten man. The Italian had his best match in the Prem so far, and he even lasted the full 90 minutes. Good signs, at last. ollie, surely you mean “kwality”? yay. it may have only been pompey but at least it was convincing for a change.